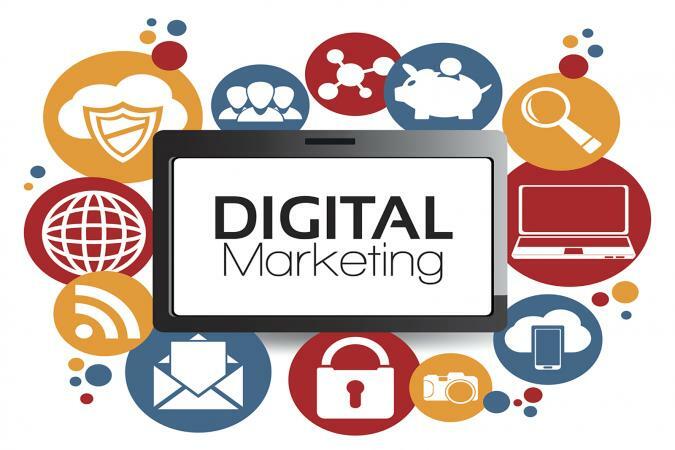 With so many companies emphasizing digital marketing as the cornerstone of their promotional strategy, it's not surprising there are so many agencies that specialize in digital marketing. It's great to have options, but it can also be interesting to get a sense of which firms represent the best of the best. With U.S. offices in Atlanta, New York, Chicago, and Los Angeles, as well as offices in London and Toronto, 360i is a leading digital agency recognized for its innovations in digital marketing. In 2017, AdWeek recognized 360i for its ability to adapt in "an increasingly digital marketplace" and then named the firm as "media agency of the year" in 2018. The company is also on AdAge's "A-List" for 2018. Forrester Research recognized the firm as "a leader in search marketing" too. According to AdWeek, 360i started in Atlanta in 1998 as a "specialty shop" focusing on search, then it merged with Innovation Interactive (based in New York) seven years later. The firm has long been recognized for its expertise in search engine optimization (SEO), social media, and brand strategy. In 2017, 360i expanded to become a "full-service media operation" and is committed to tech-based, outside-the-box marketing solutions. They also introduced "dedicated Amazon Marketing capability" in 2017. The company's philosophy is "powered by curiosity." One of the mottos published on their website is "creativeness demands reinvention." AdWeek indicates that 360i's clients include Coca-Cola, Canon and Red Roof Inn. AdAge mentions that the firm also does work for Roto Rooter. Based in Harrisburg, Pennsylvania, WebPage FX focuses on "digital marketing that drives results." Their expertise includes SEO, pay-per-click (PPC), social media marketing, web design, and more. The firm holds the number one position on the Digital Agency Rankings list of "the best digital advertising agencies of 2018" and it is also listed as a top player in the field on Clutch.co. They are a premier-level Google partner and the firm has been named Pennsylvania Tech Company of the Year. They were also named the number one Best Place to Work in Pennsylvania for 2015 and one of the 75 best places for millennials to work nationwide. This company is very focused on results. This emphasis is clear from the first minute you look at their website; key statistics about the results they have gotten for clients are featured very prominently. When you go to the site, you'll see specific statistics about the number of leads and calls the firm has generated for clients, along with a count of e-commerce transactions and other key results like traffic increases and website conversion statistics. Hundreds of testimonials from satisfied clients are also published on the site, in both text and video form. The firm's client list includes Direct Pet RX, Fortis, Seifert Woodcrafts, Ocoee River Rafting, Sponsor the Troops, and many others. Based in Tempe, Arizona, Lucid Agency provides all types of digital marketing services to an impressive client list. The growing firm expanded out-of-state in 2018 by opening an office in Chicago. They handle digital marketing for companies of all sizes (from startups to Fortune 500 firms) across a wide variety of industries. Their expertise includes digital marketing, user-focused web design, app design, and advertising. They are a Google premier partner have received numerous awards, including recognition from the Phoenix Business Journal in several categories (top social media marketing firm, top interactive marketing firm, and the small business impact award). Firm leaders have been recognized in the publication's "40 Under 40" list and the company has been included in the region's "Best Places to Work" list for several years. The company was also included in Ranking Arizona's list of the state's best internet marketing agencies and was recognized by the School of Business at Arizona State University as a finalist for the Business Spirit Enterprise Awards. They have specialized experience in several high-growth industries, including healthcare, hospitality, and education. Their client list includes a number of widely recognized nationwide and international brands, such as Best Western, Great Clips, Mayo Clinic, Motorola, PetSmart, and Purdue University, to name just a few. These are just a few of the many firms recognized as leaders in the field of digital marketing. The Digital Agency Network is another good resource to find leading firms in this field, particularly if you are looking for companies in a certain geographic area. If you are considering hiring a firm to provide digital marketing work for your company, be sure to ask for examples of their work and results.